Bhel puri. 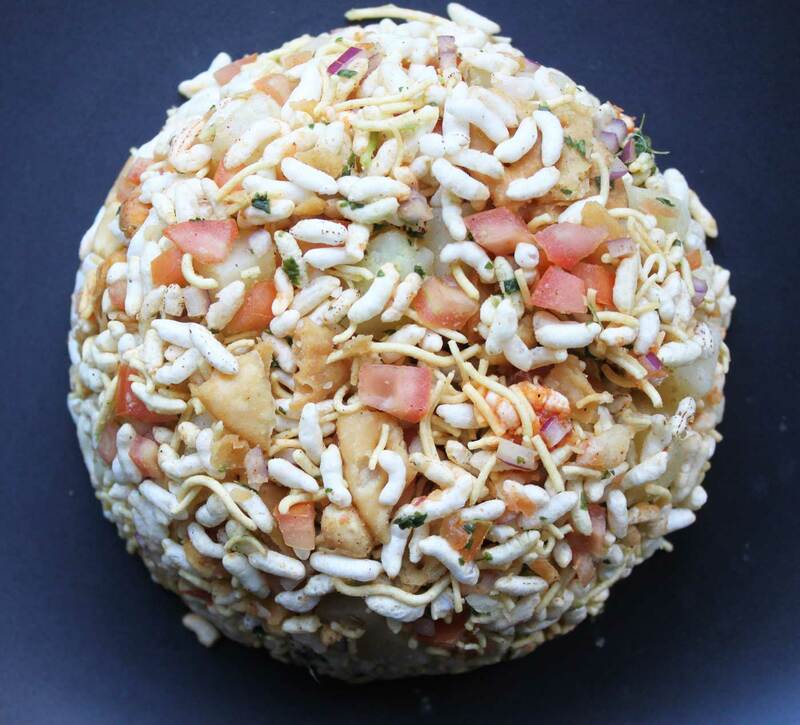 I know you are probably questioning, ‘what the heck is bhel puri?’. I don’t blame you, but that’s why I’m here; to expose you to another great ethnic snack dish known as bhel puri. It’s a mixture of all types of textures and flavors that when eaten is something really, truly awesome. This is basically an Indian snack made of puffed rice, along with tomatoes, chutneys, onions, some spices, and something called sev. I was first curious about this when I visited a local Indian grocery outside of Milwaukee called Best Indian store, and that’s when I really began to explore more and more Indian cuisine. 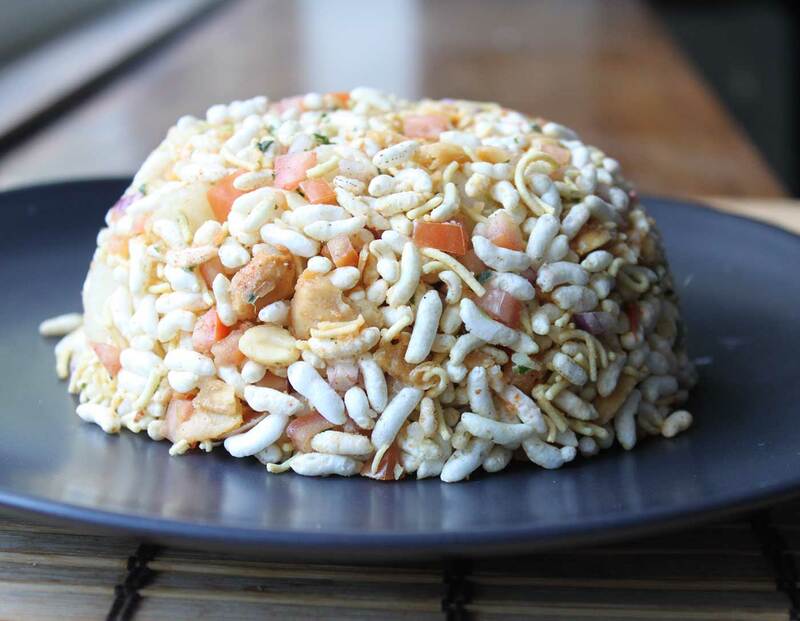 This is really easy to throw together, and the trick is to eat it pretty quickly as the chutneys will soften the puffed rice rather quickly. This is a savory snack and is just packed full of flavor and texture. A real winner. You can find all of these ingredients at your local Indian store, and the chutneys (which I will post later) can be made at home. Start by heating a skillet on medium-low heat. 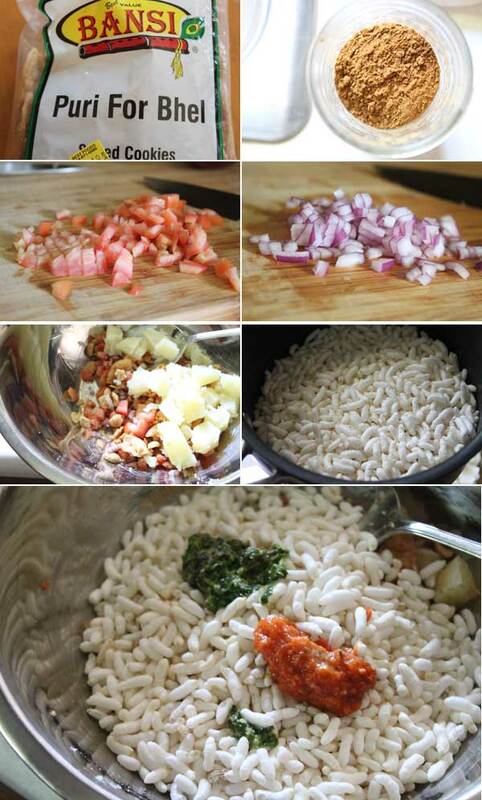 Add the puffed rice, and gently toast for a few minutes, agitating along the way. To a mixing bowl, add everything but the lemon juice. Gently stir, and mix, ensuring that the chutneys get mixed well, then sprinkle on the lemon juice. Now you are ready to serve. I molded my mixture in a bowl and served. The textures, the flavors, and the experience made this all a perfect snack. My wife and I dug into this and really enjoyed it. If you are looking for a great snack, and a great introduction into Indian snacks, give this one a shot. I know I’ll be making this throughout the year. Hope you enjoy!